Parasound has turned its most-affordable preamplifier and DAC design into its most-affordable integrated amplifier and DAC with the addition of a 110-watt per channel power amplifier stage. The resulting Parasound NewClassic 200 Integrated Amplifier and DAC has all the same preamplifier features as the NewClassic 200 Pre, plus the ability to drive high quality loudspeakers without buying a separate power amplifier. Like the 200 Pre, the 200 Integrated includes analog bass management for optimal performance with compact satellite speakers and a powered subwoofer. The amplifier stage is the latest design from the renowned Danish company Pascal. Pascal’s expertise in class D engineering allows Parasound to cram a hefty 110 watts/channel RMS 8 ohms into the very slim 1U chassis. Parasound’s expertise in designing superb, full-featured preamplifiers ensures signal integrity by avoiding typical analog-to-digital conversion for volume control and special functions such as bass management, high pass and low pass crossovers. Additional convenience and custom installation features include presets for both turn-on volume and favorite volume, a bi-directional RS232 serial port equipped with Control4 drivers, rear panel IR repeater input, and a 12V trigger output. Input level offset (source level matching) ensures that sources with varying output voltages will play at the same level. The dimmable front panel LCD display plus a built in library of 28 words makes it simple to name each input for the source device connected to it. The back-lit remote control includes adjustments for L-R balance, bass and treble adjust, subwoofer on-off, and even remote control of subwoofer level. 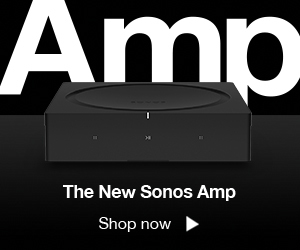 The Bypass input enables a direct connection to the amplifier stage to facilitate integration with surround sound systems or for connecting a streaming device with its own volume control such as the Sonos Connect. With thoughtful, well-engineered design, Parasound has accommodated an unprecedented feature set and high quality into a sleek and compact one rack-space chassis.